Meet Newsday's All-Long Island boys lacrosse first team for the 2017 spring season. 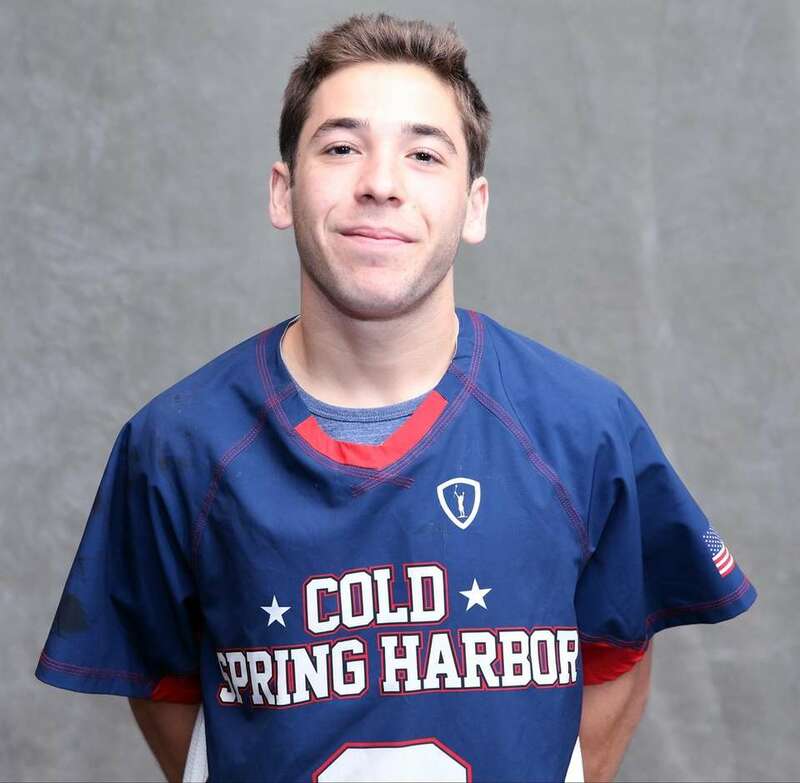 Long Island Player of the Year: Ian Laviano, Cold Spring Harbor, A, Sr. Whether he was chasing and checking opponents trying to clear the offensive zone or turning heads with his searing low-to-high shots, Ian Laviano has been on the ride of his life. Laviano did a star turn as the Seahawks completed a 21-0 season with a third straight state Class C championship. "I definitely wanted to go out with a bang," Laviano said. He did that and more in earning Long Island Player of the Year honors and a second straight All-Long Island first-team berth. Laviano led Nassau in points (107) and goals (68), and was part of the only L.I. boys lacrosse team ever to win three straight state titles. He will play his college ball at Virginia. "He always had special vision. 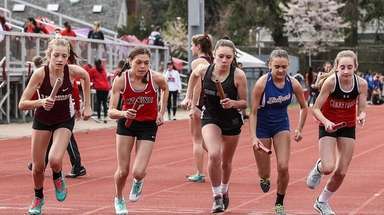 It seems like he's a step or two ahead of everyone else," CSH coach Dennis Bonn said. "He also does the dirty work. He's an excellent rider and is not afraid to go after ground balls. Ian is a special player who makes everyone else better." 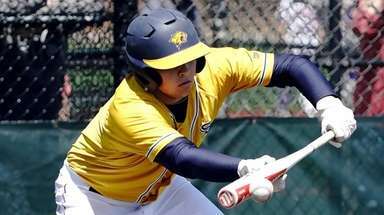 Suffolk Player of the Year: Chris Gray, Shoreham-Wading River, A, Sr.
No matter the sport, you couldn't stop Chris Gray in the open field. 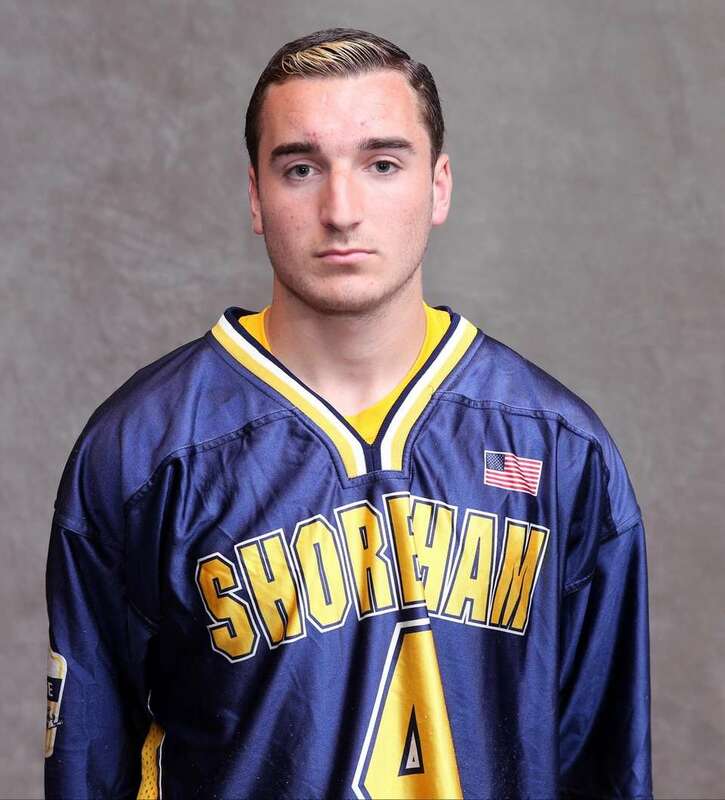 The 5-7, 170-pound star led Suffolk with 2,179 yards and 37 touchdowns last fall as Shoreham-Wading River won its third straight LIC, and this spring, Gray topped Long Island with 115 points and 90 goals to carry the Wildcats to a second straight Suffolk boys lacrosse title. For those accomplishments, Gray is Suffolk County's Player of the Year and a repeater on the All-Long Island first-team. He had back-to-back six-goal games in the playoffs, including the key goal to stem an Islip rally in the county final. Gray will play lacrosse in college at Boston University. "He's become more of a team player even though he's got so many goals. When he isn't scoring, he's distracting the defense," SWR coach Mike Taylor said. "He's always had the ability to dodge and get to the net, and has a terrific a shot. He plays like a football running back. He's fast and powerful. He's not the biggest kid but he doesn't play small. He's hard to cover, with his acceleration and lacrosse IQ. He has that knack for getting to the cage." Lucas Capobianco-Hogan, Mt. Sinai, D, Sr. 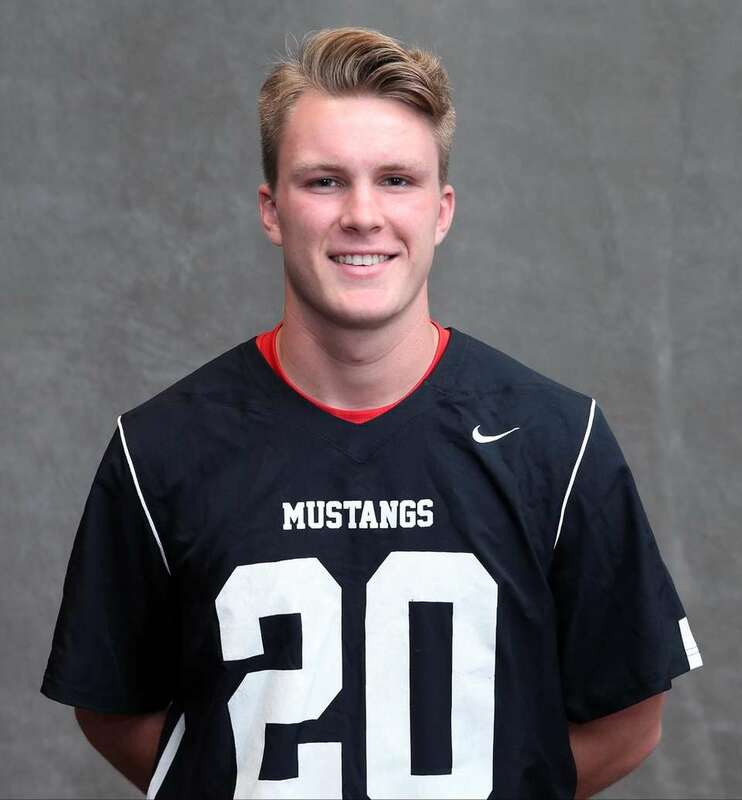 He was not only a tough defender and ground-ball machine, but Capobianco-Hogan often played offense in extra-man situations for the Mustangs. Using his long stick effectively, he scored seven goals and added an assist. He will fit well in the defensive schemes at Johns Hopkins. Connor DeSimone, Smithtown East, A, Sr. He finished one point behind SWR's Chris Gray in the L.I. scoring race with 114 points and led the Bulls to the county final. DeSimone displayed balance with 60 goals and 54 assists, including five goals and seven assists against Connetquot. He will play at Johns Hopkins. 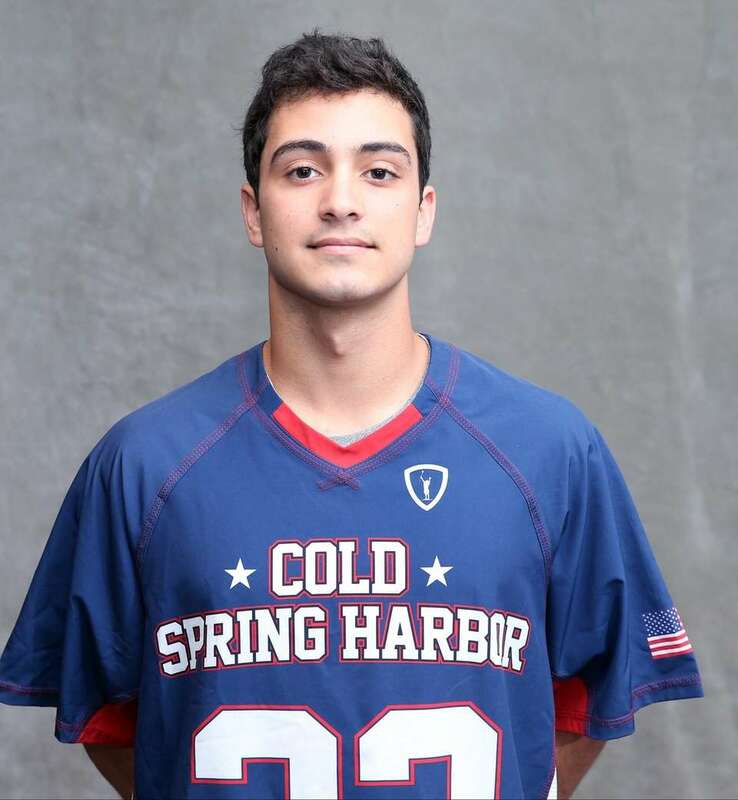 Matt Licciardi, Cold Spring Harbor, A, Sr.
A vocal leader for the three-time state Class C champions, Licciardi was an effective faceoff specialist who led Nassau with 65 assists and added 24 goals. Licciardi scored two goals with two assists in the state title game, including the go-ahead tally. He will play at Cornell. Thomas Lingner, St. Anthony’s, G, Sr. When the Friars' defense broke down, Lingner was the ultimate safety net. He registered double-digit save totals in nine of the teams' 14 games, including 14 in a non-league victory over St. Augustine. He will play at Division I University of Maryland Baltimore County. 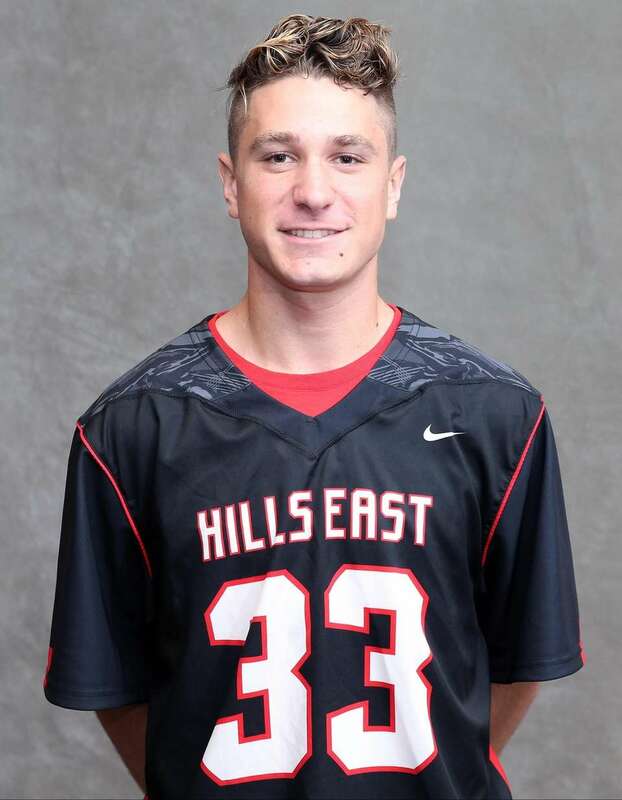 Sean Lulley, Half Hollow Hills East, M, Sr. He was sixth in scoring in Suffolk with 91 points, including 51 goals, helping the Thunderbirds reach the county championship game. During one three-game stretch in late April, Lulley scored eight, nine and nine points. He will play in the Ivy League at Penn. 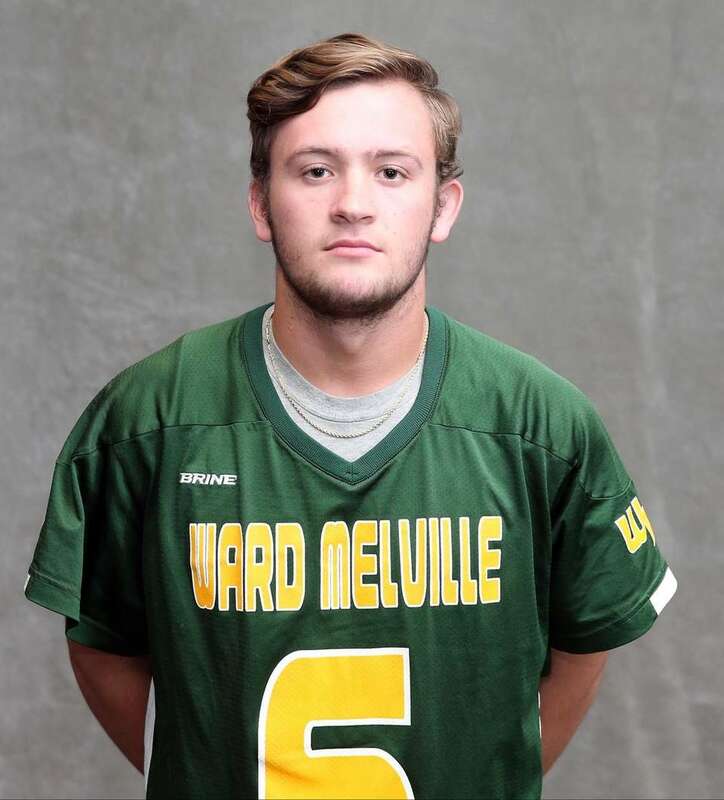 Andrew McKenna, Ward Melville, D, Sr. 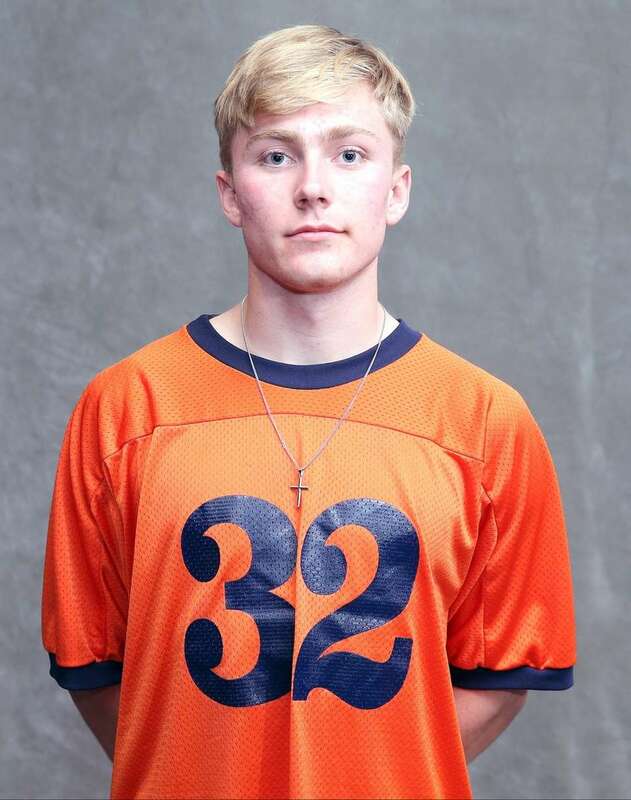 He was an absolute anchor on the back line for the state Class A champions, defending opponents' top scorers, scooping groundballs to trigger fastbreaks and forcing turnovers. He came up with a clutch interception and assist in the semifinal win over Lakeland-Panas. McKenna will play at Navy. 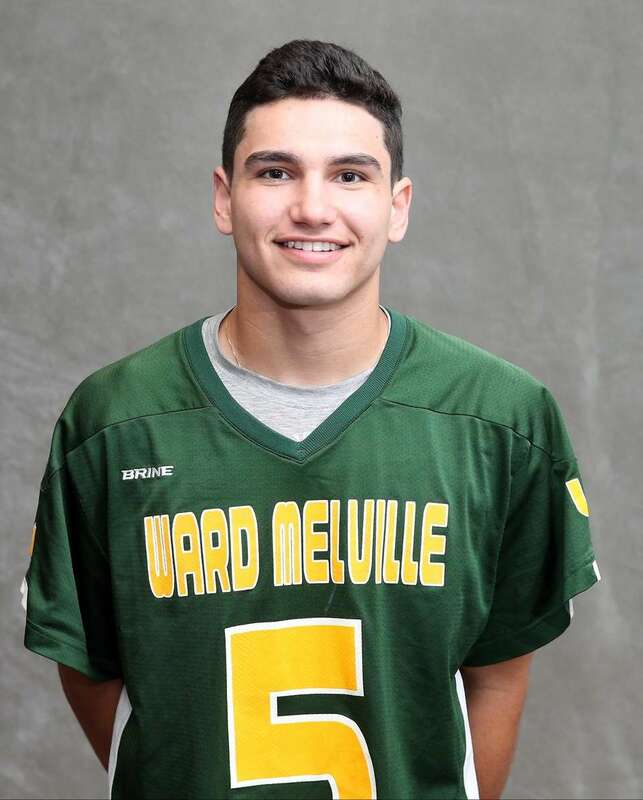 Eddie Muñoz, Ward Melville, M, Sr.
A clutch performer, Muñoz sparked the epic comeback in the state with three late goals in 34 seconds to force overtime. 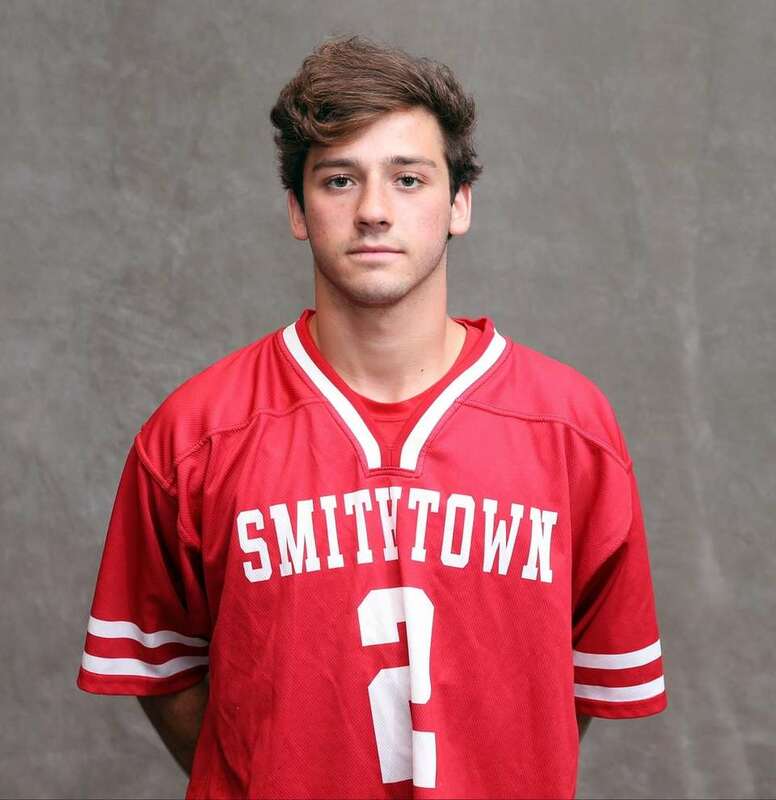 He also scored three goals in a thrilling 9-8 victory over Smithtown East in the county final. Munoz will play at Stony Brook. Brendan Nichtern, Massapequa, A, Sr. He was the leading scorer for the Nassau Class A champions with 45 goals and 48 assists. In the playoffs, Nichtern had an eight-point game against Port Washington, with five goals, and a seven-point performance against Oceanside with five assists. He'll play at Army. 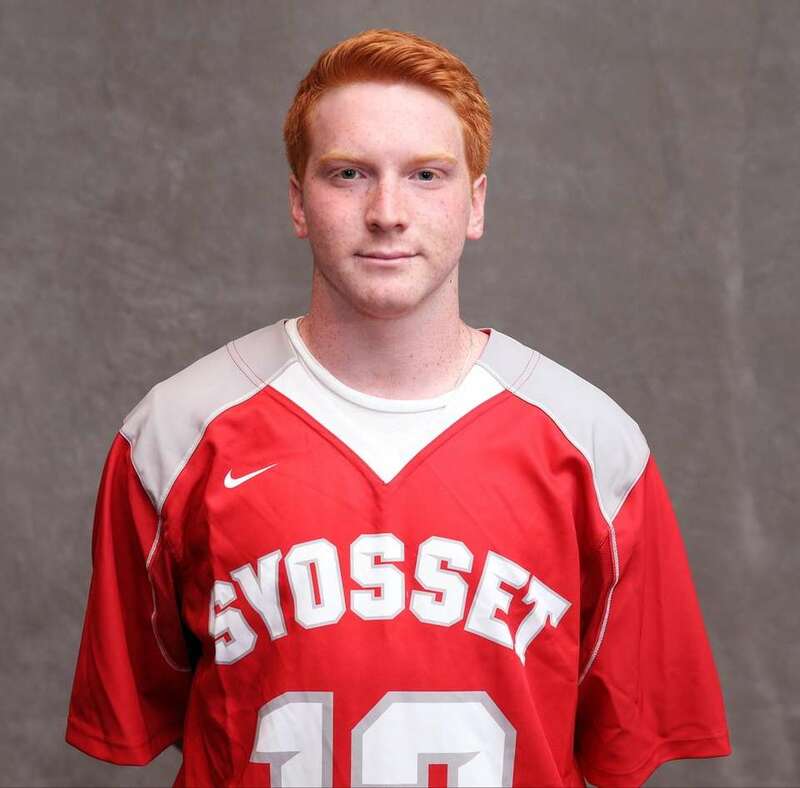 Danny Ochs, Syosset, D, Jr. The only junior on the squad was a human vacuum cleaner when it came to ground balls. 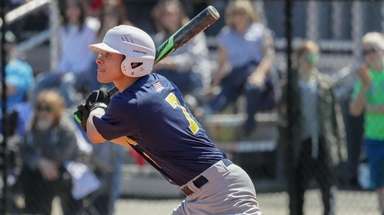 He averaged six per game, including eight in a quarterfinal victory over Plainview-Old Bethpage JFK. Twice this season he went coast to coast for goals. Ochs has committed to Hofstra. 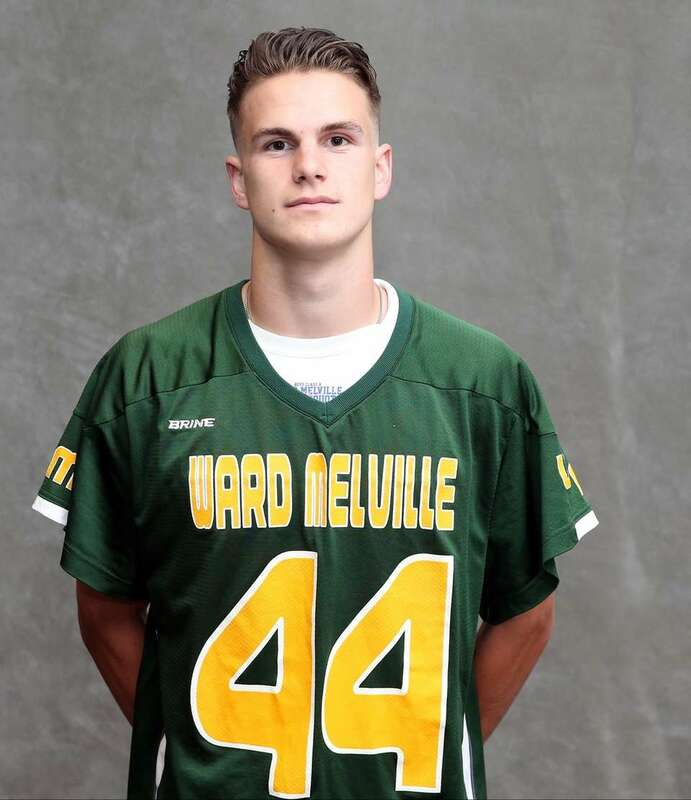 Dominic Pryor, Ward Melville, M, Sr.
One of the best two-way middies on Long Island, he was a key player for the state Class A champions, assisting on the first of six fourth-quarter goals in the state final. Pryor collected 21 goals, 21 assists and countless groundballs. He'll play at Hofstra. 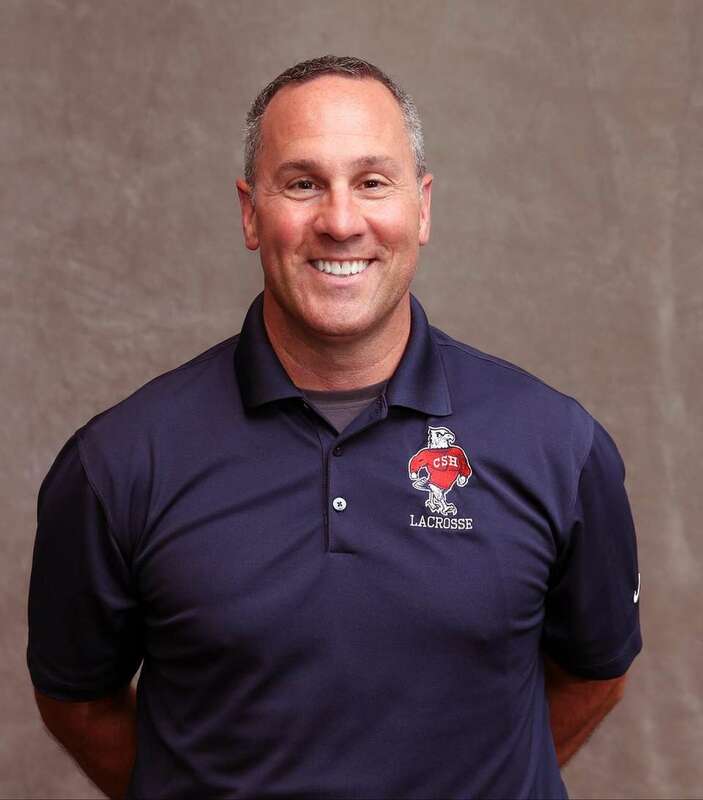 Steve Schneider, Manhasset, M, Sr. 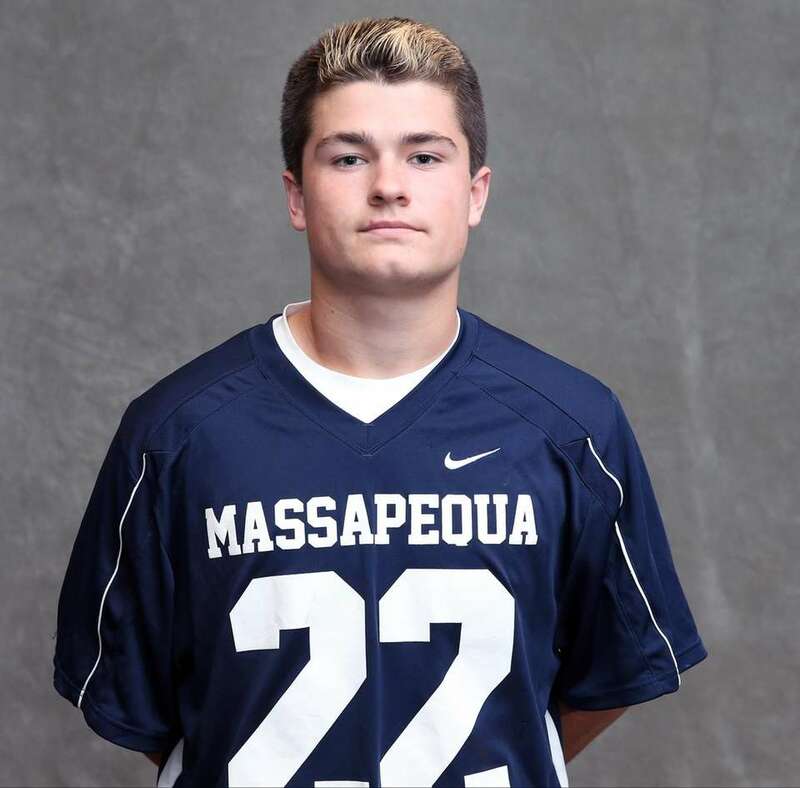 He led the Indians into the Nassau B title game by scoring 36 goals with 25 assists, and tracked ground balls all over the field. 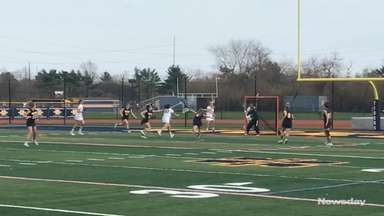 Schneider had a six-goal game against John Jay-Cross River in late March. He will play at 2016 NCAA champion North Carolina. 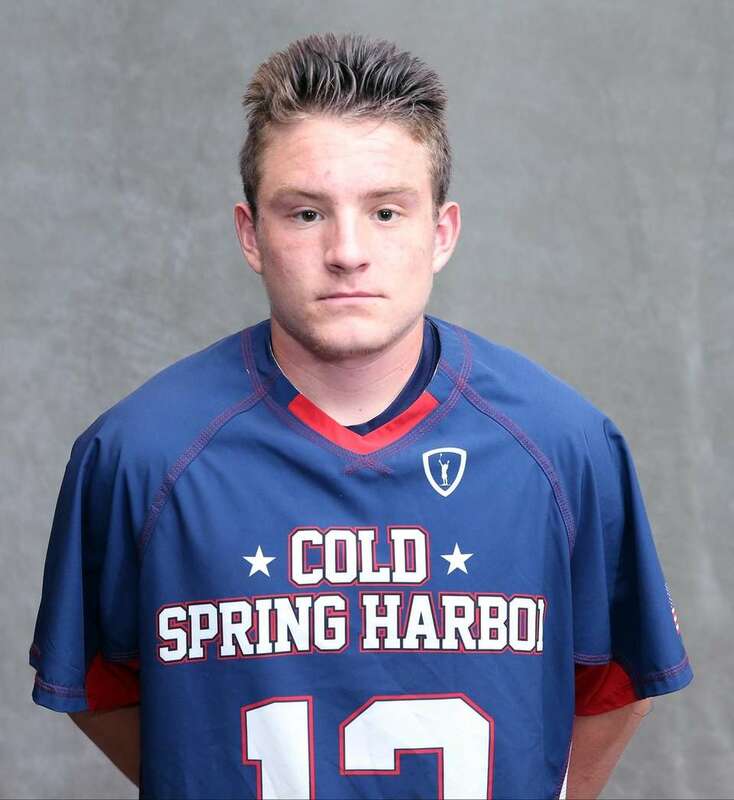 Taylor Strough, Cold Spring Harbor, M, Sr.
Strough (as in wow) dazzled with four goals in the state championship game when the Seahawks overcame an early 5-1 deficit. A sniper with a hard, accurate shot, he was second in Nassau in goals with 66, including an eight-goal performance against Syosset. He will play at Fairfield. 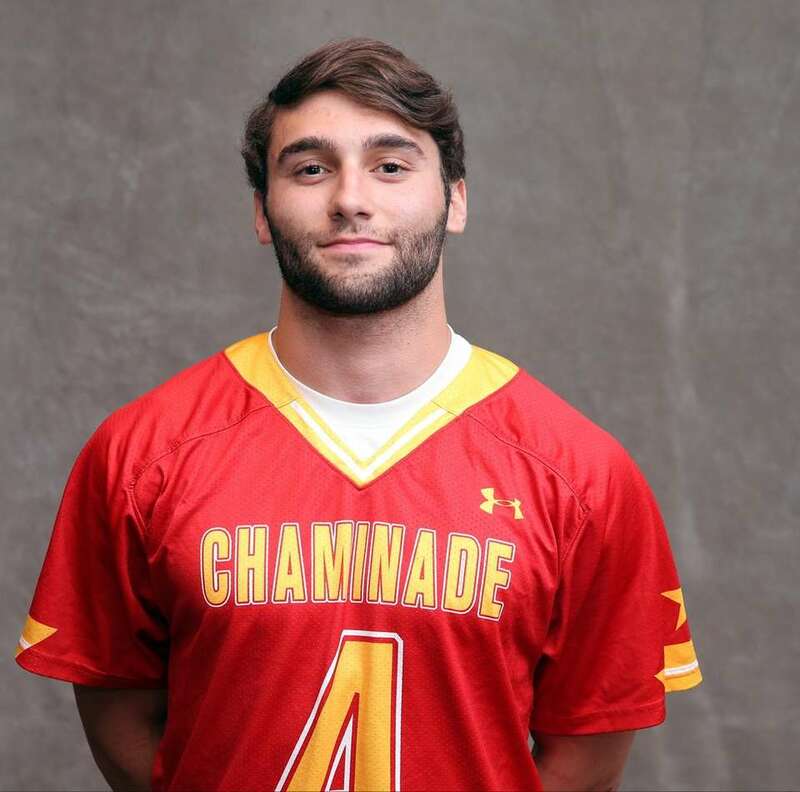 Frank Tangredi, Chaminade, D, Sr.
A dominating long-stick midfielder who was part of the Flyers' strong defensive unit, Tangredi guarded opponents' top midfielders and showed speed from the wing to help win faceoffs. He joined the offense often enough to contribute nine goals plus six assists. He will play at Harvard. He took the Sharks to the Suffolk Class B championship -- a 7-5 win over East Islip -- the first county title in school history for boys' lacrosse. ESM finished 14-5. 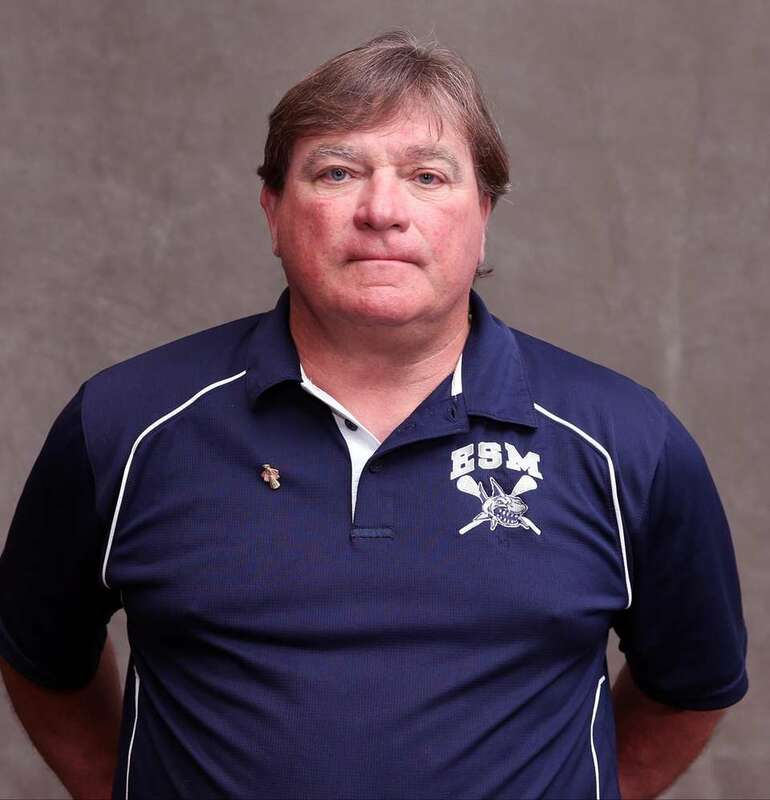 He guided the Seahawks to their third consecutive state Class C championship, the first Long Island boys lacrosse program to accomplish that feat. CSH finished 21-0. All-Long Island girls lacrosse first team 2017Meet Newsday's All-Long Island girls lacrosse first team for the 2017 spring season. 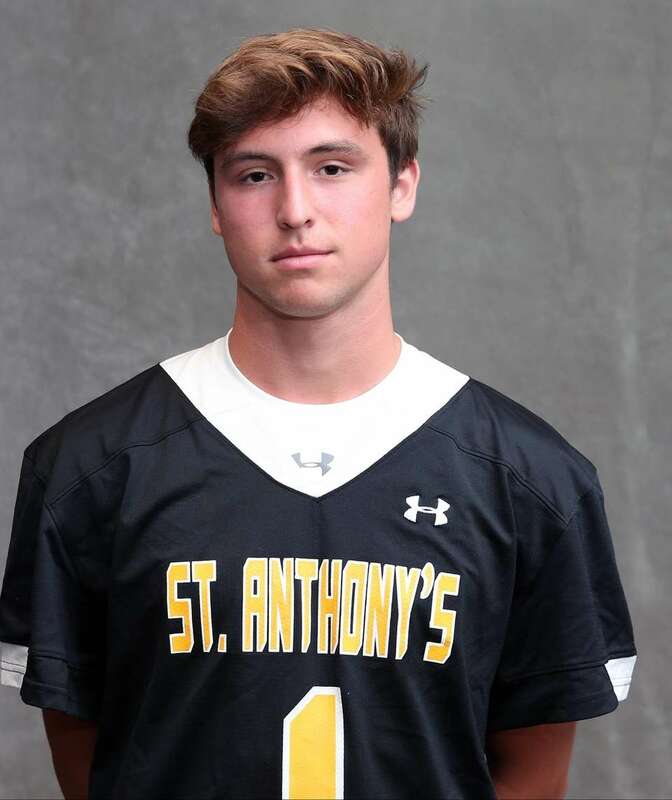 ... Newsday's All-Long Island boys lacrosse team 2017Bob Herzog introduces the Newsday All-Long Island boys lacrosse team for 2017. Newsday's All-Long Island history databaseMore than 6,000 players and coaches have earned Newsday's top high school honors.